NetSuite create great software. 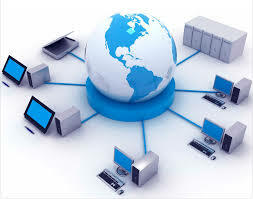 BM Online implement great solutions for Software companies using NetSuite. NetSuite for Software based companies meets the specific financial management needs of software companies with sophisticated revenue recognition, recurring revenue management and renewals management capabilities. Gain real-time visibility into your business performance across finance, sales and service through role-based dashboards and KPIs specifically designed for the needs of software companies Meet your revenue recognition requirements. Streamline billing processes with recurring revenue management functionality that frees up resources and reduces billing errors Automate the renewals process to ensure that sales, finance and service are focused on maximizing customer renewals Align sales and marketing with powerful CRM functionality, including advanced quote management, cross-sell and up-sell management and commissions management. Revenue Recognition NetSuite solves your revenue accounting challenges with complete support for all key revenue recognition standards, automated revenue calculation, and fully integrated dashboards and reporting. The result is greater ease of use and flexibility, better data integrity, more visibility and lower ongoing maintenance. Recurring Revenue Management NetSuite’s powerful renewals engine gives you complete control of the renewals process. Easily drive renewals off contract end date, create co-terminus-based contracts and include uplift amounts that can be generated at a predetermined time. NetSuite lets you manage billing for subscription- and maintenance-based revenue streams, and increase profitability by cross-selling and up-selling to customers. Financial Analytics and Reporting NetSuite’s pre-configured role-based dashboards and metrics for software companies provide immediate insights into your licenses and maintenance, deferred revenue retention sales pipeline, and upsell and down-sell, and more. NetSuite even provides financial planning and modeling capabilities to ensure financial and operational discipline. Financial Management NetSuite’s financial management software solution is used by thousands of organizations to manage their accounting needs. It accelerates your financial close, provides strong expense management and offers streamlined and auditable revenue recognition management. Order and Billing Management Integrated quote-to-order-to-billing management capabilities fast-track business processes, improve quote accuracy, eliminate billing errors, strengthen revenue recognition processes and accelerate cash flow—all in a single solution. The result is faster orders, improved front- and back-office productivity and dramatically reduced billing errors. Global Business Management Easily manage global software companies that have multiple subsidiaries, business units and legal entities, and gain a real-time view into sales, service and financial performance. NetSuite enables complete management of different currencies, taxation rules and reporting requirements. Customer Relationship Management (CRM) Gain comprehensive CRM capabilities, including sales force automation (SFA), customer service and marketing automation. NetSuite’s seamless integration between marketing, sales and finance eliminates redundancy, and reduces manual processes and errors while increasing operational efficiencies. Partner Relationship Management (PRM) Improve collaboration with your partners, distributors and resellers with complete PRM capabilities that let you treat your partners as an extension of your direct sales team, with joint marketing campaigns, lead management and order processing. Salesforce.com Integration SuiteCloud Connect for salesforce.com allows salesforce.com customers to integrate their CRM processes with NetSuite’s leading on-demand financials/ERP and ecommerce functionality.